ComForCare is one of the fastest growing franchises in the United States, with more than 150 offices in 29 states, along with locations in Canada and the UK. The majority of our clients are seniors, the largest and fastest growing segment of the US population, projected to reach more than 72 million by 2030 (U.S. Census Bureau). We empower our business owners with the support and resources they need to be successful in the booming home care market. Are you looking to join a winning team? Do you have compassion for the elderly? Do you believe in the motto "make money while making a difference"? If you answered "yes" to all the above, ComForCare wants to hear from you! No health care experience? No problem! We will train you if you are willing to learn. Some of our most successful owners have backgrounds in sales & marketing, management, operations and other entrepreneurial ventures. Our franchise owners make a living while making a difference in others' lives every day. We serve two clients. 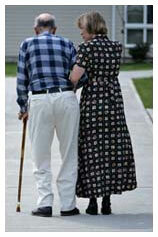 The first is the person with home care needs. The second is their family who is concerned about them and often pays for or subsidizes our services. We train our caregivers to make both happy. It's a "feel good" enterprise - you can make money while making a difference. 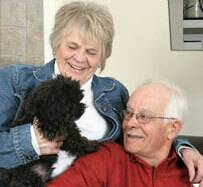 It's a recession-proof business - there is ever growing demand for home care services. National strategic alliances create instant networking and referral possibilities, and increased revenue potential. Low investment with high income potential. High equity and wealth-building potential. Large, Exclusive Territories with plenty of growth and expansion possibilities. Proprietary MIS and back-office system manages all aspects of the business - saves time and eliminates paperwork so you can focus on growing your business. Outstanding marketing materials. We ease your sales process by creating a variety of print and electronic materials that you can use in your marketing plan. Comprehensive insurance programs. As a ComForCare franchise owner, you will enjoy negotiated discount rates for insurance, supporting your every business need. Start quickly. Once we both decide to move forward, you can be open and generating revenue in 30 days! Manage a professional staff - not unskilled, unmotivated, part-time employees. No inventory to purchase. Keep your money working for you. Comprehensive 4-Phase Training program for new owners, including two full weeks training at corporate offices. On-going support and training provided by our experienced franchise development and support team. We ensure you get going with a quick start right off the block. The initial franchise fee is US$39,500, most of which we re-invest in helping you get started. Our royalty structure starts at 5% and declines as you grow. That's it! We offer a 10% discount on the franchise fee to qualified military veterans.